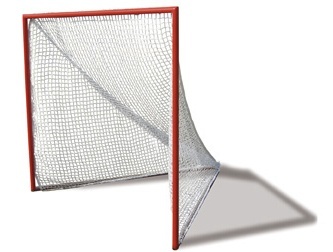 1 Stop Lacrosse Goals - Institutional and residential lacrosse goals. 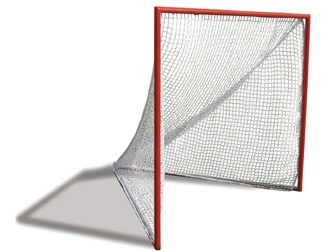 1 Stop Lacrosse Goals features only competition-grade, commercial/institutional-level lacrosse goal systems that are affordably priced for your organization or institution. All of the systems offered here are guaranteed to provide the durability and playability required for high-level competition at the institution/organized-competition level. WARRANTY: All lacrosse goal post products are warranted against manufacturers defects at time of delivery. Additionally, below is an explanation of Limited Warranty for football goal post products. Covers damage or failure that occurs during the course of "normal or intended use" of the product. Normal or intended use of the product shall be described as activity that is necessary for the participation in the sport for which the equipment is designed. Malicious or deliberate damage caused by vandalism is not covered under the Limited Warranty. CUSTOMERS: Pricing is the lowest possible to meet budget requirements for any institution or organization. Private consumers and clubs are welcome! PAYMENT OPTIONS: To keep the prices affordable for your institution or organization, we prefer to receive payment for these systems by check. We can submit a Purchase Order for your financial departments to release the necessary funds. Credit cards are accepted but are subject to an additional processing fee of 4% of a system's price. the best wall padding, basketball goal, TNR bleacher and volleyball system solutions for their needs!